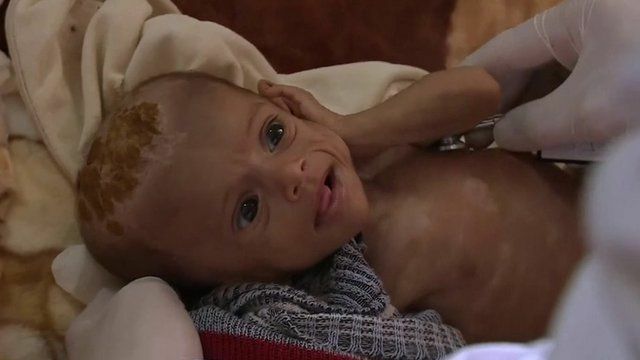 Yemen in grip of cholera outbreak Jump to media player The UN says it is seriously concerned about a "significant outbreak" of cholera in war-torn Yemen. More than 7,000 people have been killed in Yemen's war and three million people have been forced to flee their homes. The UN estimates 14 million are at risk of hunger with half of those on the brink of famine. Fergal Keane's report contains distressing images.